Nikon 18-200: Is the reach worth the lack of quality? 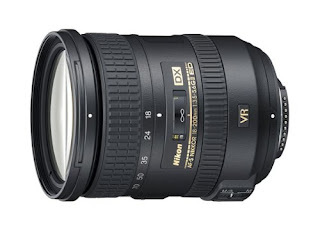 Nikon's AF-S DX 18-200 f3.5-5.6 ED VR2 is really a remarkable lens, yes I admit it. I know it was released more than five years ago, but it is the only lens from this OEM's offering that provides such a big reach: going from wide angle to telephoto. Its aperture is an OK offering - it's not as fast as 24-70 f2.8, but then again, it offers a longer reach. The question is: is it worth suffering quality issues just to get this extra reach in a lens? An individual who strives for quality in their photographs will most likely forgo this option to get something a bit better, such as the aforementioned 24-70 f2.8. But how about the casual shooter? You know, the one who does not like to change their lens often or the one that cannot afford to buy multiple lenses? Well, for those people this lens is a pure engineering genius. How did they even make it possible for this lens to do that? This is a great travel lens for those with APS-C camera sensors, it is fairly compact and it packs a huge punch... If you're mostly shooting during daytime, or if you have a camera that knows how to handle its ISOs that is. But regardless of your camera, this lens has issues. At times it just isn't as sharp as you'd like it to be. Don't get me wrong - this is a great starter lens for those of us who are just starting in photography. It offers a huge reach without sacrificing a lot of picture quality. But if you are more serious about it, or doing it professionally, you might just want to pass it in your local camera shop. Just like with any other tech related post, you can get this lens from Amazon at this link, all while supporting this website.